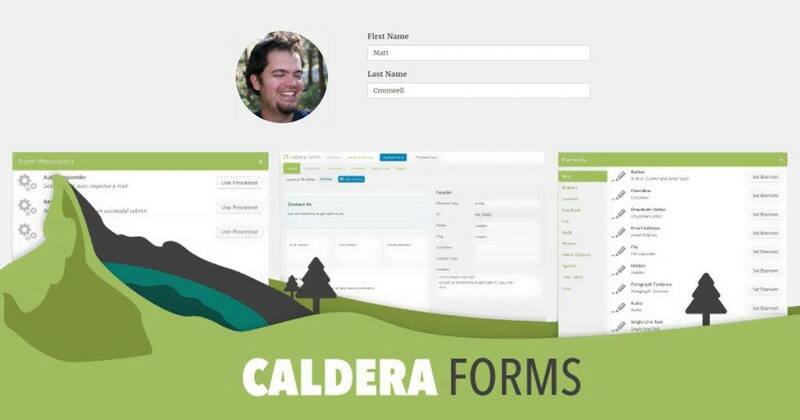 Did you know you can use Caldera Forms to make a a front-end Profile Editor? It can do that — and — a lot more. If you know me, you know I’m always looking for plugins that make it easier to make great things with WordPress. When I discovered Caldera Forms, I was sold. Since then I’ve converted many sites from Gravity Forms because Caldera Forms is easier, more powerful, and the forms look great on any device. Above all that, it’s free. It helps that the Add-ons are powerful and useful, too. Seriously folks, responsive design is not optional anymore. Caldera Forms is designed from the ground up to be totally responsive and mobile friendly. The editor is built around the kind of multi-column layouts we’re all used to using for our sites. Coding is no longer a barrier to content. These days, thanks to tools like Caldera Forms and drag and drop page builders like Beaver Builder, it’s easier than ever to not just make websites, but make complete systems for your business with little to no code. You may not want your users to be in the WordPress dashboard. Instead you want to create simple, good looking forms that have just the field you need. This tutorial will help you do this — and more. Read the whole tutorial on here.